Utah is one of the most pleasant states in the US you can live in, thanks to its beautiful scenery and friendly people. The crime rate in the state is also showing a downward trend, and the violent crime rate in the state is lower than the national average by 37%. It is expected to go down even further. However, that will only happen if the departments have enough capable police officers. These workouts are the basic requirements and you should prepare for them. However, some police departments might set up other routines and exercises for the applicants. Aside from physical training, you will also undergo firearms training, driving emergency vehicles as well as thorough lessons for self-defense and first aid. The duration of these training sessions vary, but usually it is 12 to 16 weeks. The Salt Lake Police Department adheres to the state’s minimum guidelines for recruiting police officers. Aside from those, all candidates have to pass the department’s physical agility test with a minimum score of 50% to become eligible for the selection process. During the day of the PAT, men and women have to do a particular number of vertical jumps, sit ups, pushups and the aforementioned 1.5 mile run. Once accepted, you will receive a starting salary of $1,484 bi-weekly, and the amount increases as you gain experience. The West Valley City Police Department divides the applicants into two groups, certified and non-certified. The certified are those who complete the Peace Officer Standards and Training (POST) while the non-certified are those who haven’t completed POST. If you are hired and you haven’t completed POST, you will be sent to the appropriate POST academy to finish your education. The Provo Police Department has around 100 uniformed police officers, and 50% are assigned to the patrol division. The requirements are the same as those of the state, and after you go through the written and physical exams you will undergo a polygraph test as well as be subjected to a medical and psychological exam. Those who are accepted at the Provo Police Department receive a starting salary of $1461.99 bi-weekly or $18.27/hour. In addition, all those who are accepted into the police force receive life, dental and health insurance for themselves and families. Aside from those, all hired police officers receive additional benefits like vacation days, 10 paid holidays, sick leave and 401k matching among others. The West Jordan Police Department also has the same minimum requirements that the State of Utah has set, but in this case, a POST certificate is required. Aside from the written exam applicants also have to undergo a physical agility test so determine if you can withstand cold, heat, chemical smells, odors and if you are capable of handling explosive materials. Candidates at West Jordan also have to show their ability to drive to different locations, are capable of working in different shifts and that they can follow the law. The process begins with the written and physical fitness tests followed by the POST test and the panel interview. The requirements of the Orem Police Department are very similar to the general specifications set by the state. Unlike other police departments in the state, Orem does not require the officers to live within the city limits. In addition to the basic requirements, all applicants have to complete an intensive physical fitness program that will determine if they have what it takes to be a public safety service officer in the city. Orem police officers are also required to undergo training so they learn how to use different weapons, and there are also special skills training focused on self-defense and solving disputes in as amicable a way as possible. The procedures and processes outlined above show why it is important that you learn how to prepare for the police academy. The fact of the matter is, the failure rate is high since a lot of the applicants do not prepare and have no idea what they are getting into. Unless you take the right steps, you’ll end up like those who never got anywhere and failed to get into the academy. There are a lot of ways to prepare, but the most effective method is to use an ebook guide like Prepare for the Police Academy. Written by an expert in police academy training, the ebook covers all the major aspects of the training. 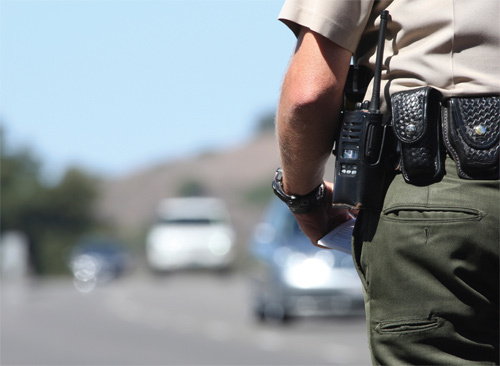 With this guide you’ll be able to master the EVOC (Evasive driving course) training, do a detailed analysis of the search and seizure law and many more. Aside from providing insights into the different courses and exams, this ebook will also teach you, step by step, how to physically prepare yourself for the workouts so that when training day arrives, you’ll be more than ready for it.